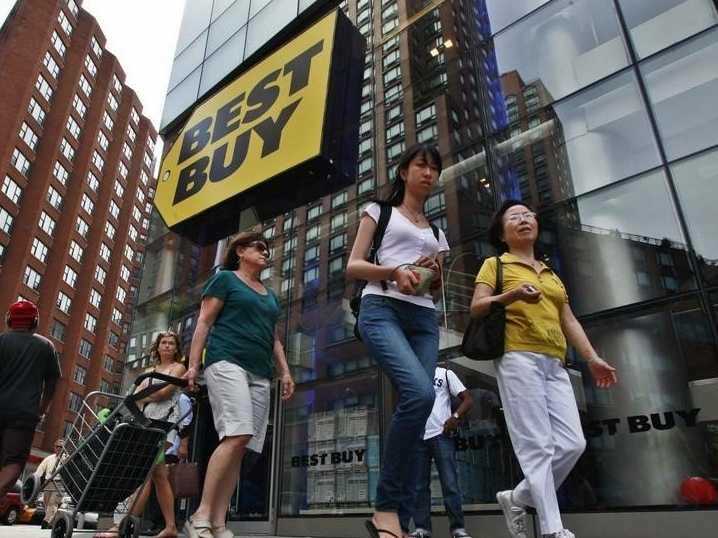 Best Buy shares are up 10% in pre-market trading after the company reported a great quarter. The electronics retailer reported earnings of $US0.32 per share, beating expectations for $US0.25. This was driven by 2.2% comparable store sales growth. Analysts had forecast a 2.0% drop. “The sales trends we are seeing in our business as we enter the fourth quarter are encouraging from a top-line perspective,” CFO Sharon McCollam said.